While I was walking around the park during my sunset session I noticed I was coming upon a park bench with what looked like litter on it. As I got closer, the litter became dead flowers. So I took a closer look. It turned out to be a memorial bench. 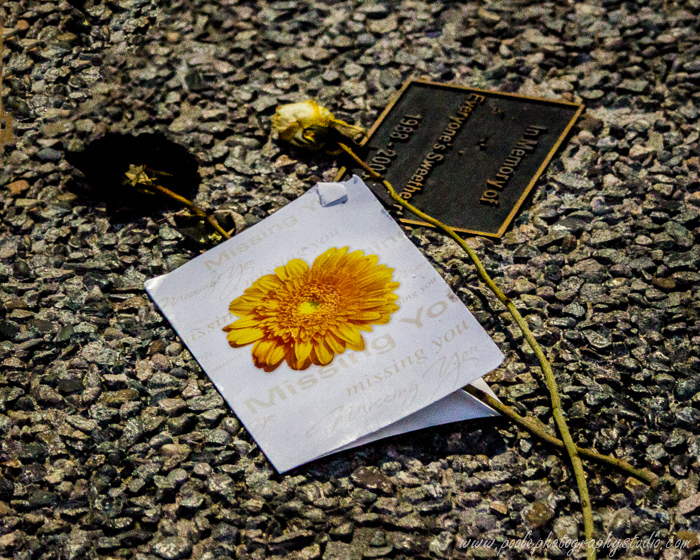 As I continued around the part I found a couple of other memorial benches with flowers and cards on them. What struck me about these memorials was the fact that the flowers and cards had to have been there for several days, which means the grounds keepers and the park guests were respectful of these memorials and left those items alone to be the tribute that someone had left for a lost friend or loved one. I don’t get to parks much, so this may be commonplace at neighborhood parks, and ho hum news for most people. But for me, it was very touching. Just thought I would share.